We are the team you need to call for all your garage door related needs. Our trained experts can repair models from all of the industry's best brands. Do yourself a favor and take a look at a couple of the recent projects our technicians completed to learn how we've helped other customers with various issues. 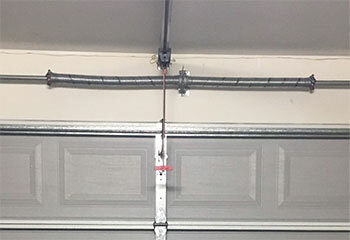 Customer Issue: The customer started hearing noises from his garage door springs, and noticed some early signs of fraying. Our Solution: The team locked the door open to relax the extension springs, and then carefully eased the caps off before removing the springs themselves from the extension cords. After cleaning and lubricating the cords, we put the new pair of springs in, sealed everything up, and tested the door for functionality. Customer Issue: Door hanging from its lift cables and rollers slid out of track. Our Solution: Although there was no damage to the panels we found that the impact also damaged the rollers and one spring. We immediately removed the door and replaced the entire tracks system (one side was damaged, the other severely rusty) as well as the broken rollers and the spring. Customer Issue: Wanted an insulated door. Our Solution: We offered the customer a carriage house door from the Clopay Coachman® collection, to match the simplistic charm of his home. Although this model was made of low-maintenance durable steel it had a faux wood appearance, and was insulated with thermal break that offered an R-value of 18.4. Customer Issue: Wanted to replace an old opener. 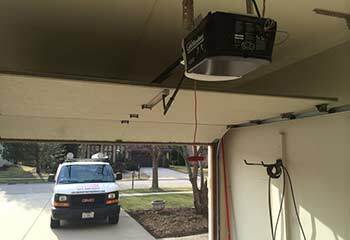 Our Solution: We recommended a belt-drive garage door opener model, more specifically, the Craftsman 54931, which has built-in Wi-Fi compatibility and a Timer-to-Close automatic feature. We installed the new unit for the customer and made sure he was completely satisfied with its smooth performance. Professional Miami based experts who know how to perform any type of task you may require, from spring replacement to opener repair and more. Only the best quality replacement parts and top industry brands for doors and openers are used on every job. Can't open your door and need help? 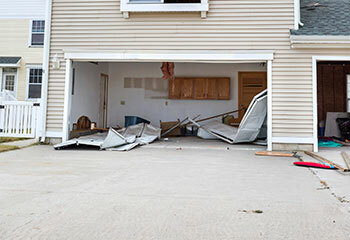 Count on Garage Door Repair Miami for the fastest response around! 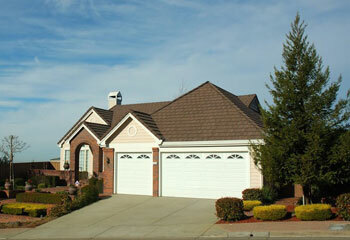 At Garage Door Repair Miami every repair, replacement or installation is carried out safely and professionally.